We’d love your help. Let us know what’s wrong with this preview of Tokyo Ghoul Monster Edition 1-2-3 by Sui Ishida. This monstrously massive compend Ghouls live among us, the same as normal people in every way—except for their craving for human flesh. 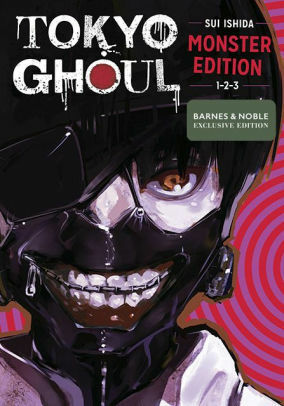 To ask other readers questions about Tokyo Ghoul Monster Edition 1-2-3, please sign up. Highly enjoyable well writte, the only real downfall is that the art can be a little hard to follow. Well this was a pleasant surprise- several of my students have been telling me to read this, and it never really called me. Just looked like manga, and I have never really gotten into manga. This was pretty fun to read though. I was expecting the X Men plus Twilight plus a lot of gore, and what I got was X Men plus man-eating monster story plus a tidy little social commentary on assigning and withholding personhood and the right to life. Awesome! Intriguing, scary, spooky, incredible.